Erica and Jevon traveled from Florida to celebrate their big day in true historic Savannah charm! 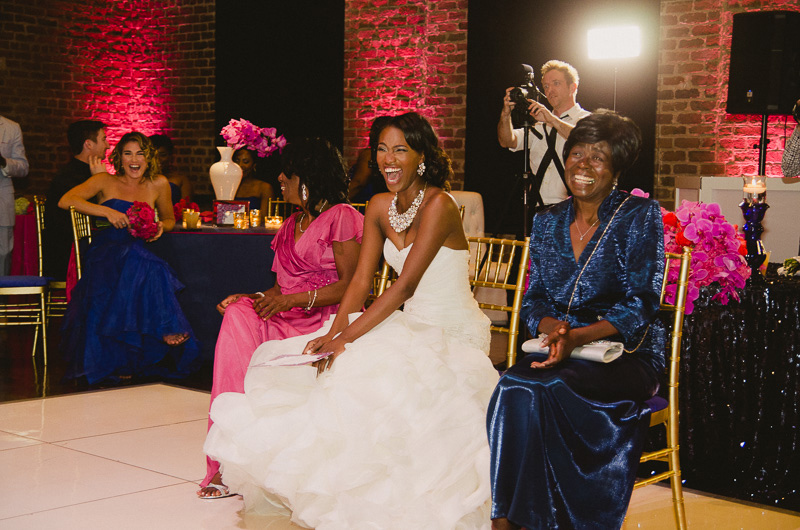 Everything about Erica and Jevon's wedding day was centered around close friends and family. It was so great to be part of it! With the sun beating down, and looking to escape the heat, the Trustees Garden tent was the perfect location for their ceremony. Adorned in all white with candles running the aisle, beautiful music welcomed all of the guests into the Garden tent. As the ceremony came to a close, friends and family were welcomed into the Charles Morris Center ballroom. Here, an amazing decor of deep purples/blues and romantic candles, set the stage for a grand celebration! Erica and Jevon, your ceremony was timeless and the celebration was high energy! Congratulations you two! A special thank you to the team of Christopher Marcs Designs and of course Indy Productions, for making the day fun and beautiful.